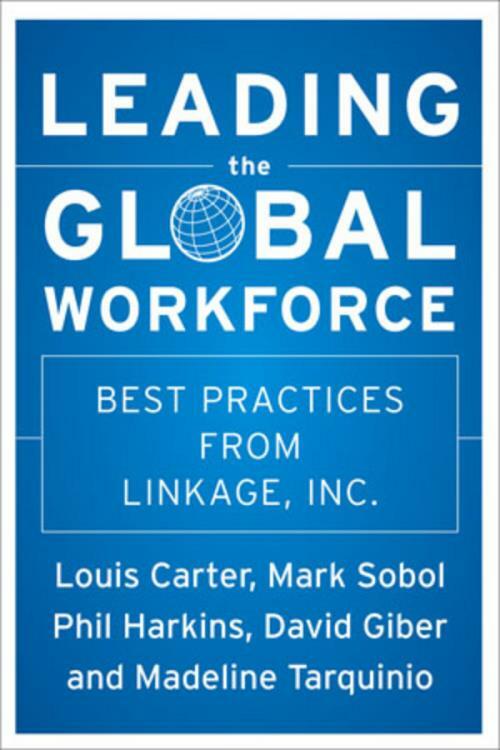 Leading the Global Workforce provides a handy guide for international organizations that must achieve results in managing and sustaining a global workforce. The fourteen illustrative cases outlined address the major concerns recruiting and developing global leaders, global organizational learning, cross–cultural communication, outsourcing line functions, and managing global careers and transitions from sixty of the world′s best–practice global organizations. Each case shows how the organization advanced a global business strategy with a new initiative in the areas of global leadership development, cultural change, career transition, succession planning, change management, outsourcing, and global performance. In addition, Leading the Global Workforce also describes the overall strategy, planning, and implementation of the initiative; feedback from participants; and overall evaluation of results. Many of the cases contain competency models, practical tools, instruments, and materials that were most effective. 1. Agilent Technologies: Global Leadership Training with an On–the–Job Focus (Teresa Roche and Cal Wick). 2. The Boppy Company: Optimizing a Global Workforce (Brian Wilkerson and Teresa Mead). 3. Colgate–Palmolive Company: Globally Valuing People (Donna B. McNamara, Mitra Chappell, and Robert S. Browning). 4. The Dow Chemical Company: Recognizing and Developing Top Talent (Robert E. Tucker and Marcia L. Thomas). 5. InterContinental Hotels Group: Aligning Leadership around a Single Global Strategy (Andrew Simpson and James Dowling). 6. Johnson & Johnson: Training Global Leaders for Supply Chain Innovation (Maya Hu–Chan, Charles Bergman, and Michael Frugé). 7. McDonald s Corporation: Improving a Global Leadership Talent Development and Management System (James Intagliata, Neal Kulick, and Donald Crosby). 8. Motorola University: Transferring Skills through Strategic Alliance (Xiaozhen Yan and William J. Rothwell). 9. Pfizer Inc: A Behavior–Based Approach to Training Leaders in Transition (Betsy Blee, Joe Bonito, and Robert E. Tucker). 10. Tower Automotive, Inc.: Global Relocation of Technical Services (Kishen Kavikondala). 11. UNICEF: Globally Developing In–House Careers (Rudolph Messinger and William J. Rothwell). 12. Verizon Dominicana: Empowering Leadership Teams (Mark Sobol and Jorge Iván Ramírez). 13. Volvo: A Global Shared Learning Program for Three Brands (Nilou Sardari, Ulf Jeverstam, and Greg Zlevor). 14. Wyeth: Evolving Forms of Global Leadership Training and Follow–Up (Tim Fidler, Jeffrey Peris, and David Giber). Appendix: About Linkage and the Summit.